Join Kitty Kat on his journey across London. See the Crown Jewels, ride on the London Eye, and even visit Buckingham Palace. 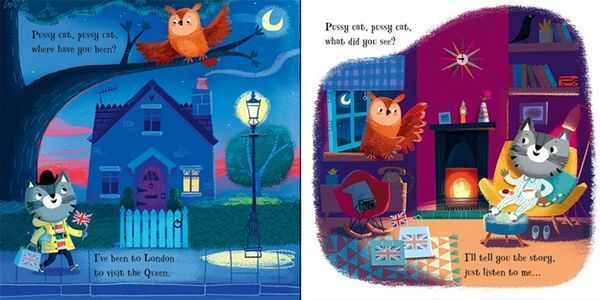 Imaginative text accompanies spectacular illustrations in this captivating new version of the classic rhyme. 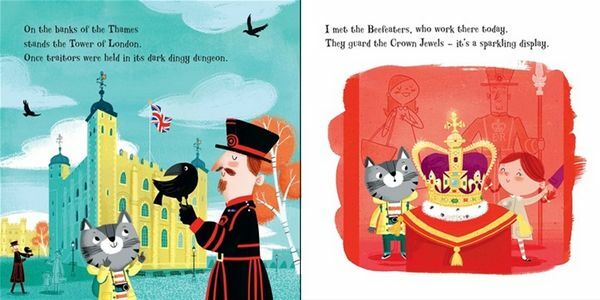 A virtual field trip with gorgeous, fun illustrations This story is fantastic! I can't wait to travel the world with my little ones, but until then, this is the perfect way to introduce new sites and cultures to them. I get lost in the vivid photos myself. The story rhymes and includes names and explanations of some of the major sites, with brief references to history, all around London. 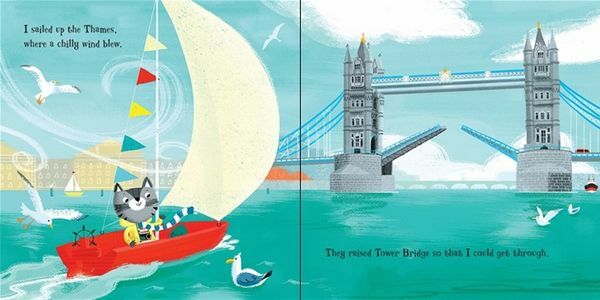 I just ordered another London and Paris one to have in the gift closet… perfect for gifting to 3-6 year olds! We learned so much from this book! What a great visual exploration of London and some of the history there! We loved the singsongy rhymes in this and the cute kitty cat! And several of the sites and facts were so interesting, we researched more about each one and led to further discussion! Such a fun way to learn more about our big world!